It shouldn’t come to surprise anyone when I say I love the 100mm focal length on APS-C cameras. What should be an awkward length too long for “typical” portraits (usual range is 85-135 on 35mm camera), but too short for a long telephoto (those start around 180-200mm)–becomes an “up close and personal” portrait lens useful in separating subjects from a crowd, or emphasizing certain features of people. With a stop-and-a-third slower maximum aperture than my 105mm f/1.8 AI-s, the degree of separation on the 100mm f/2.8 E is somewhat less, and the “pop” starts to fade away (shallow depth of field is an aspect of photography I love to employ). Also, in low light and at max aperture, it can be a bummer to still have to either slow the shutter speeds (risking motion blur) to stay at low ISOs, or to raise the ISOs (resulting in more noise) to keep the shutter speed high. When shooting conditions go south, compromises have to be made. So be it. 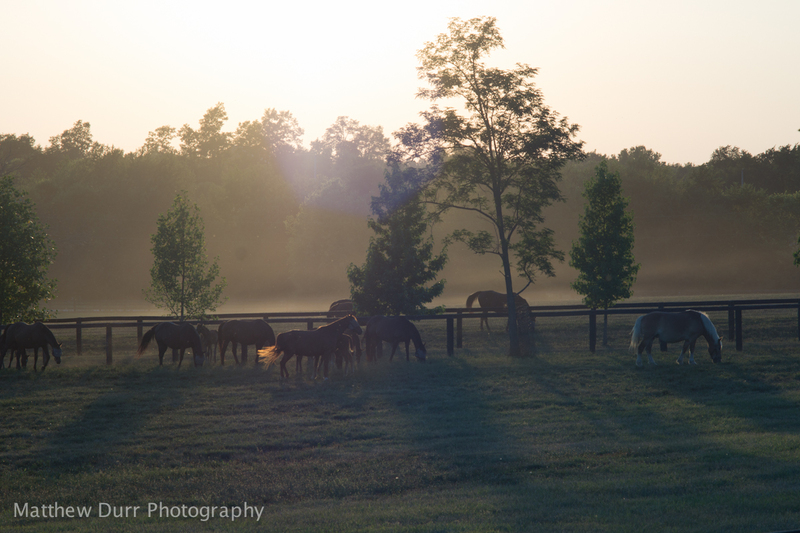 Regardless, the 100mm f/2.8 E has to have redeeming qualities, right? You bet. I do like this lens very much, for reasons detailed below–so much so, I’m not particularly sure which lens (the 105mm or 100mm E) I enjoy the best overall. There’ll be a section discussing that near the end, but let’s get onto the meat-and-potatoes! 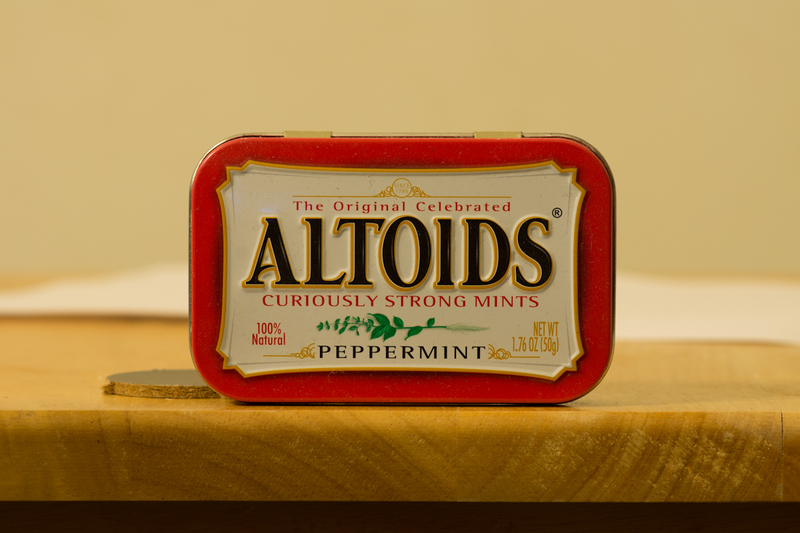 Dimensions: 2.25 inches/57.5mm long, 2.5 inches/62.5mm in diameter, with a weight of 7.6 ounces/215 grams. Note: though not as light as either the 50mm E or 35mm E, the 100mm E really isn’t a lens that adds real-world weight to any camera, from a DSLR to a compact mirrorless. Miscellaneous: 7 straight-bladed aperture stopping down to f/22, 52mm filter thread, metal mount. When shot on an APS-C camera, the field of view in 35mm terms is 150mm (up-close-and-personal portrait length), and on m4/3 the field of view is 200mm (long telephoto). Close-focus adds about .8 inches/20mm in length. Pardon the dust. One characteristic I will now be taking into consideration for lens reviews is a made-up term observed in the 50mm f/1.8 E, “shootability”. Defined in Matthew Durr’s short list of personal photography terms, shootability is a characteristic of a lens and/or camera that measures the amount of ease, efficiency, and enjoyment in the operation of said lens/camera. Typically lenses that are lightweight (check), are compact (check two), focus easily and smoothly with a solid aperture control (check three), and have more admirable optical qualities than bad (check four) will have a high shootability rating. With all four categories met, the 100mm E (along with most of the Series-E lenses) has a high rate of shootability on any camera–the smaller camera the better. Of course, it doesn’t hurt when cost is taken into consideration (not a pillar of shootability), as most of the Series-E lenses can be had at a bargain compared to their Nikkor AI-s counterpart. After some careful hunting on eBay, I found my copy for about $80/€63. The most comparable lens (Nikon Nikkor 105mm f/2.5 AI-s), goes on the market for about $180/€142–over twice the price and weight (15 ounces/425 grams) of the 100mm E.
Aesthetically, the 100mm E looks great with any black camera, even more so than the 50mm E with its faux chrome grab ring. For future reference, there are two versions of almost all the Series-E lenses. The first version (this lens) sports an all-black body with a plastic (yet firm) grab ring. The second version–made to look more like the AI-s Nikkors–has a faux-chrome grab ring, and sometimes the ribs on the focus ring are changed. Optically, both versions of these lenses are the same, and in the real world the faux-chrome ring isn’t missed. If anything, the bright ring is annoying as it reflects more sunlight, not a good thing when the camera is always close to the face! I’m positive the 100mm E is the one “sleeper-hit” lens I set out to find in the Series-E line-up. In most all respects, the lens performs great, mainly in its uniform sharpness. Other areas, such as flare control and the character of the bokeh, leave some to be desired. That said, at $80/€63, the 100mm E is a stunning lens for the price once shootability is combined with its optical performance. I recommend it highly to APS-C cameras as well as m4/3 cameras (especially those with IBIS) thanks to the great central sharpness. If that isn’t enough for you, take a look at all the detailed information below. Though sharpness is supposed to be only a small component in a lens’ performance, many feel it is the deciding factor between a good or bad optic. I personally fall somewhere in the middle. I love seeing pixel-level sharpness (especially with a 24MP sensor), but it isn’t terribly important that all my shots are sharp when viewing at 100% on screen. With that in mind, I have tested the 100mm E to be useably sharp in its entire aperture range, but noticeably sharp from f/4-16. In the 5-stop range both detail and contrast are great–moving outwards into the optimum aperture is like going from really sharp to razor sharp. Two side notes: there is some field curvature with the lens, but isn’t noticeable in real-world shooting. 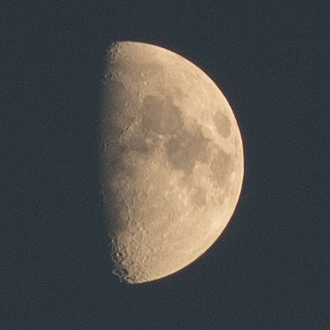 Also, the 100mm E suffers from a bit of focus shift starting right at f/4 affecting all other apertures. This applies only to DSLR shooters, as the critical focus point at all other apertures is different from wide-open (the aperture you use to focus). 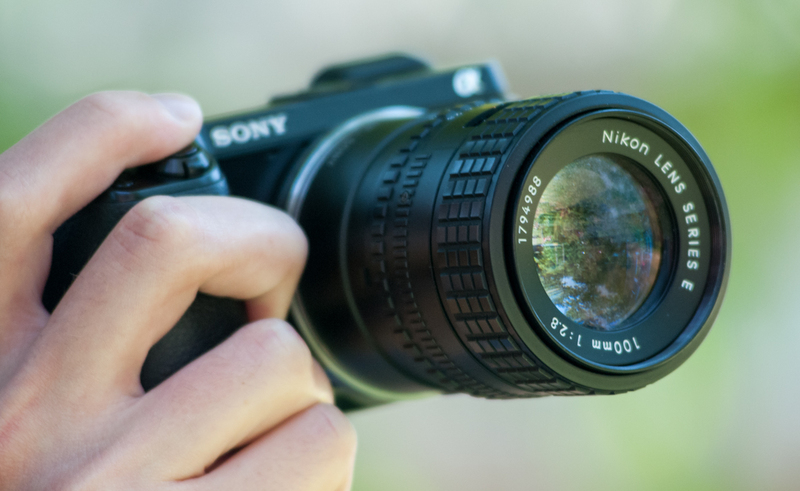 Try focusing with the depth of field preview button held down for more accurate results. Focus distance for these tests was about 6 feet. 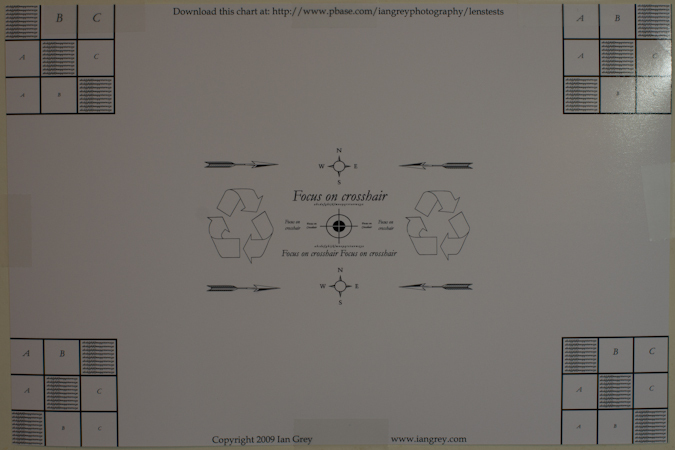 This test chart prints well above 300 dpi on an 8×12. The file can be found at the site at the top of the chart. It technically prints at 12×18 at 300 dpi, but the prints I try making at that size do not come out sharp enough for lens tests. Starting wide-open, there is sufficient detail to render most all scenes as appearing “sharp”. The only things keeping detail from being perceived as very sharp is the lowered contrast due to veiling haze, common in all fast aperture lenses. At f/4, contrast gets a huge bump, as does sharpness (though it isn’t razor sharp, yet). The difference between sharpness from f/5.6-8 isn’t too large in real-world shooting, but if you must, absolute critical detail is reached at f/8. Contrast also peaks at this aperture, so there. At f/11, sharpness-and-contrast-robbing diffraction can be seen, but ignored. By f/16, the diffraction becomes more noticeable, but all the detail and much of the contrast still remains. Finally at f/22 the amount of visible detail and contrast is about equal to wide-open. 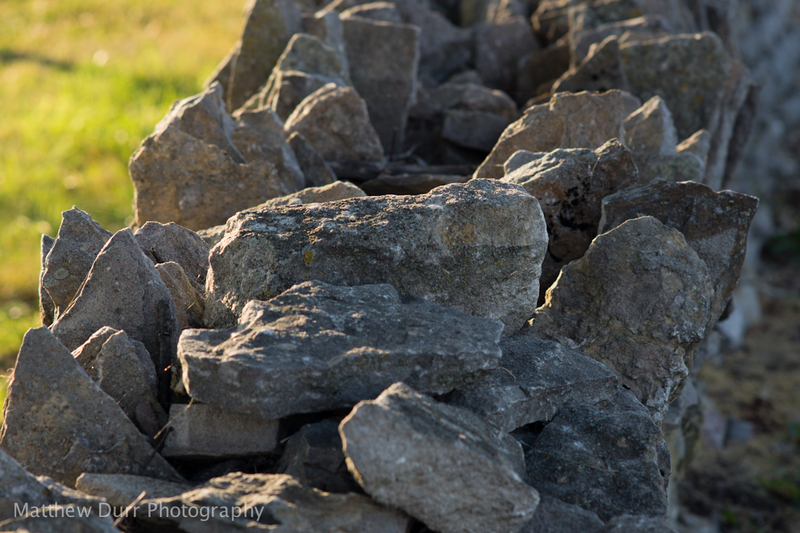 The 100mm E at optimum is just as sharp as the 35mm f/2.5 E at its optimum, but has more contrast than the 35. Thankfully, the corners show a similar story. Wide-open, there is detail (with no smearing), but it is mostly hidden by some vignetting and the veiling haze. At f/4 contrast and sharpness improves noticeably. There is a big bump both in sharpness and contrast at f/5.6, an improvement to a “very sharp” degree. 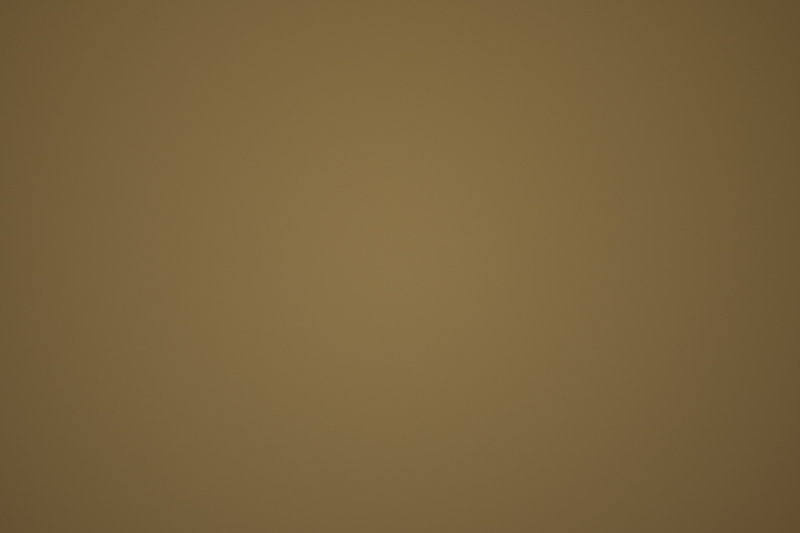 By f/8, contrast has again peaked, and corners are a bit sharper. 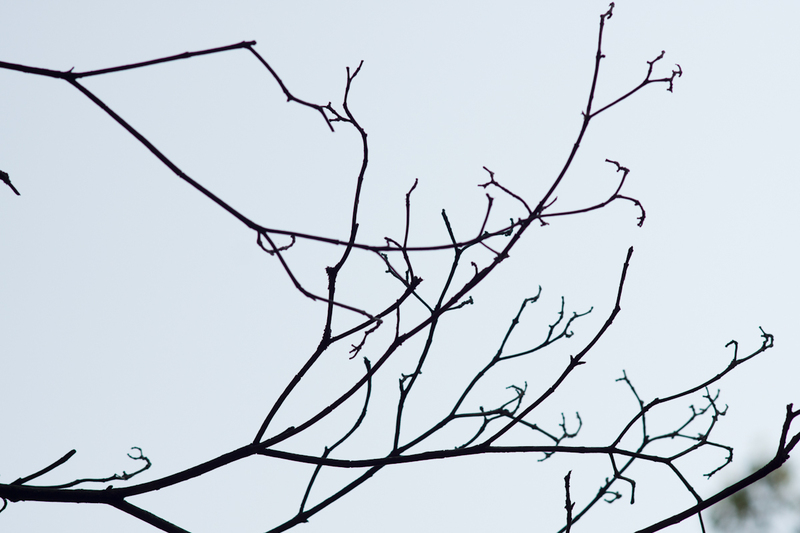 At f/11, there is no real difference in sharpness, but contrast has decreased. From f/16-22 diffraction has set in, further lowering sharpness and contrast, but at f/22, the corners are better than at wide-open. Despite peaking at a relatively “slow” f/8 aperture (compared to some of my other fast primes, such as the f/5.6-peaking-180mm f/2.8), both sharpness AND contrast across the frame peak at a very high degree. Unfortunately the corners never quite get up to the center sharpness levels, but they are almost as good. 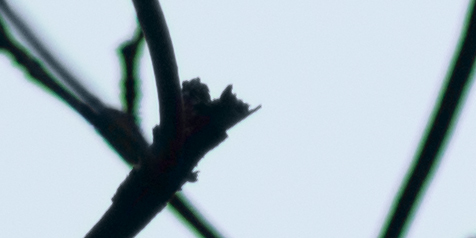 Used for its intended purpose (very long portrait lens on APS-C, long telephoto on m4/3), the corners don’t really matter anyway, as they’ll probably be out of focus. All this said, for critical work, stay in the aperture range of f/5.6-11. 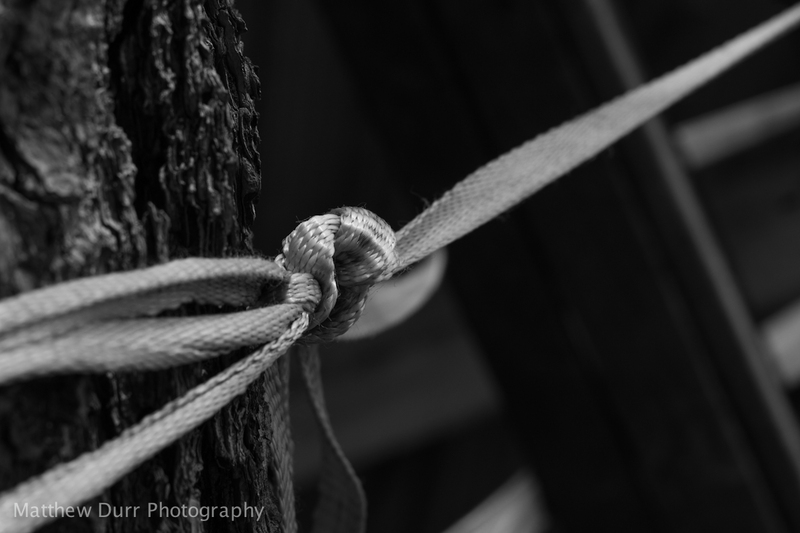 Do note that the resolving power at f/2.8 is more than useable for general photography. What better target to focus at infinity than the moon on a clear night? In the following 100% crops, the f/8 optimum aperture is maintained out to the infinity focus distance (both the center and corners are essentially the same). 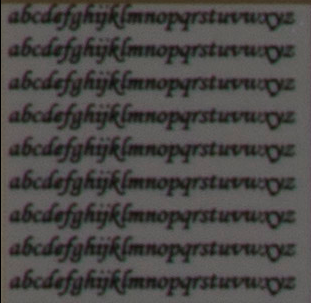 Detail is almost the same, but as in the chart tests, the corners are just behind in detail. Though I wouldn’t use this lens to shoot the moon–these crops are way too small to be useful–rest assured the lens is still very sharp as the focus distance increases. As noted, the 100mm E isn’t a designated macro lens. That said, when you can only take one lens with you out shooting, close-focus performance is an important characteristic to take into consideration. A good sign here, sharpness and contrast peaks across the frame again at f/8. 100% crop from the near-center. Extremely sharp, with great contrast. Shooting at f/8, this lens can be used to “cheat” at macro with heavy cropping. In other words, no matter the focus distance, the 100mm E is a consistent performer. For optimum results, always stop it down to f/8. 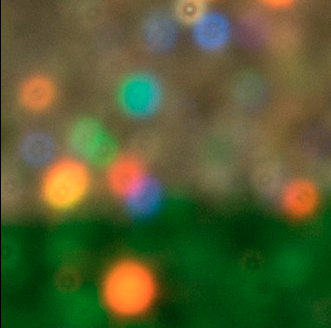 For a real-world macro shot, scroll down to the end of the “bokeh” section. “Bokeh” is an artistic term of Japanese origin for the character of anything in the image that is not in focus. Typically, smooth bokeh, where out of focus objects and highlights seem to “melt” into the background, is favorable. In regards to the 100mm E, I would rate bokeh overall as “very good”, especially in the f/2.8-4 range. 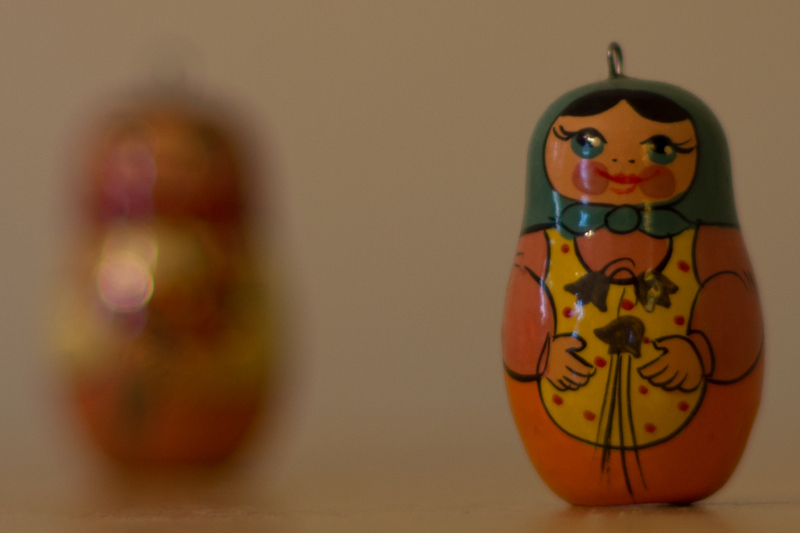 First, let’s take a look at bokeh smoothness. To analyze the smoothness of background and foreground bokeh, these objects (shot at f/22 to get maximum depth of field) are laid out as shown. 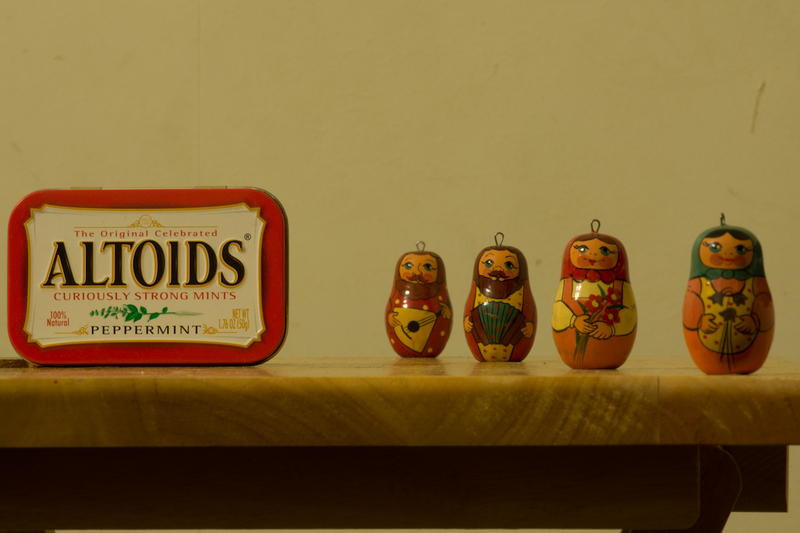 The Altoids box is the focus point, while the small russian dolls are staggered from far behind the box to close in front of it. For the best-looking foregrounds and backgrounds, f/2.8 is THE aperture to shoot at (not only because of the shallow depth of field) due to the super-smooth backgrounds, as well as pretty smooth close foregrounds (foregrounds close to the depth if field are unfortunately distracting with some doubling). As the aperture is stopped down, the backgrounds are always smooth (the “important” bokeh). With regards to the foregrounds at each subsequent aperture, both close foregrounds and near-depth of field foregrounds are in varying stages of doubling, lending to a distracting appearance. That said, the only real problem is near-DoF foregrounds at f/4 that exhibit a large amount of doubling. The “very good” rating applies here, as with a lens like this used for its intended purpose (long portrait on APS-C or long telephoto on m4/3), there will most likely not be anything in the foregrounds anyway. With most lenses, out of focus areas in the foreground cause an optical illusion to make our eyes try to bring it into focus (and hence should be avoided). Keeping again in the “very good” range, highlights from f/2.8-5.6 range from exceptionally smooth to smooth, with little to no obvious outlines, and even coloring throughout the highlight. As the aperture is stopped down further, outlines become more and more noticeable, and artifacts inside the highlight begin to get prevalent. At f/22 the highlights look pretty awful. Then again, who takes portraits (or any shot where bokeh matters) at f/22? In the range where it counts, bokeh highlights are great. Even at f/8 (optimum sharpness and contrast throughout the frame), the highlights would only be distracting if you printed REALLY big, think 12×18 or more. In the background to the left is a brick wall, the lines rendered indiscernable. The edges of the flowers show no haze where they are in focus (there is some wide open at macro) to rob detail. 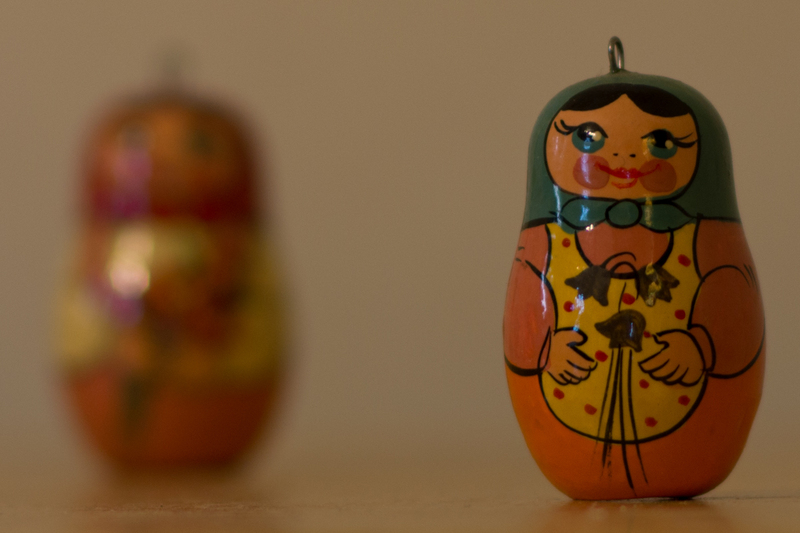 The bokeh highlights, though bright and aperture-shaped, have no artifacts or outlines. In other words, everything is just peachy. 🙂 Also, my flower quota has now been reached for this post. Here is the absolute worst-case scenario for purple fringing–in these tests each exposure was overexposed by two stops. Crops will be taken from the center. Here all aberrations have been edited out, but at the cost of removing most of the green and purple hues from the image. Were there to be foliage or purple flowers, they would appear heavily desaturated, or worse, with obvious desaturated outlines. Not only are there obvious blue blobs from internal reflections, this scene, shot at the contrast-optimum f/8, is completely lacking in contrast. Flare control is the only truly awful area this lens performs in. 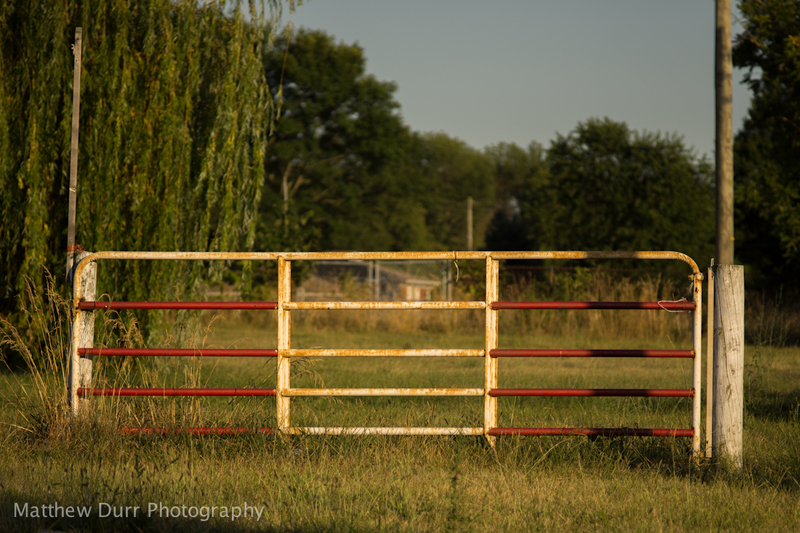 However, it isn’t as bad as the 50mm E, so take it as you like. Vignetting is the look of darkened corners as a result of shooting near the wide open aperture (sometimes photographers add vignetting in post processing for effect). Another result of the “sweet-spot” advantage, most full-frame lenses tend to have little to no vignetting problems when used on an APS-C or smaller sensor (m4/3, 1 inch sensors, etc.). The 100mm E is no exception here, vignetting even wide-open is negligible in field use. Part of this is due to the very gradual vignetting characteristic of this lens, where there is no harsh cutoff between where the darkening starts and where it ends. In this infinity-focused shot of a wall at f/2.8, a +15 correction (out of 100) is needed in LR4. At close focus only a +10 correction is needed, while at all other f-stops no correction in necessary. 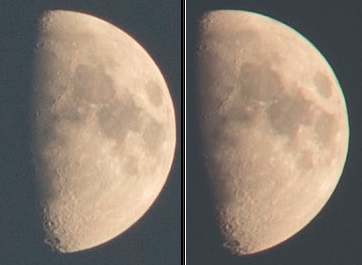 One of the many advantages to using a prime lens over a zoom, distortion is usually well-corrected (save for wide-angles). Distortion with the 100mm E is negligible pincushion. Though not needed, for those who would like to set up a lens profile, a distortion correction of -1 in the lens corrections module fixes any and all distortion. Solid build quality and functionality (smooth focus and aperture control) despite the plastic construction. A metal mount and filter threads are nice additions. Useably sharp wide open, with a contrasty and tack-sharp peak at f/8 all over the frame and at all focus distances. Detail at f/22 is still “okay”. Field curvature not a problem. Purple fringing essentially gone at f/4. Other longitudinal chromatic aberrations are easy to remove. As fast as any professional 70-200 f/2.8 zoom, but much lighter, cheaper, and compact. The 100mm probably has more light transmission too due to having fewer elements. Sharpness in the corners doesn’t quite get up to the level of the center (almost there, though). The front element is huge next to the 100mm. With both lenses at f/8, take note of the Nikkor’s smoother 9-bladed aperture compared to the rougher 7-bladed aperture. At each lens’ optimum aperture, detail and contrast is tack-sharp. 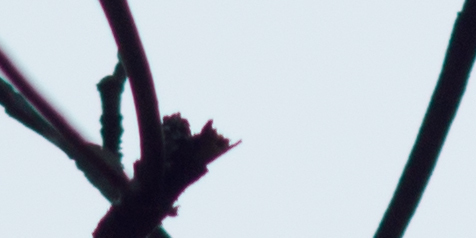 However, the edge (a small one at that) still goes to the 105mm in both contrast and sharpness. In real world shooting this would mean that a higher shutter speed can be achieved with a lower ISO at optimum aperture with the 105mm than the 100mm, key when adapting lenses with a camera without in-body image stabilization. Other areas the 105mm performs much better in is flare control, smoother foreground bokeh, and the feel of shooting with a chunk of cold, hard metal. As far as comparing these two lenses for which one is “better”? It’s a difficult proposition, to say the least. Whereas the 105mm f/1.8 has better mechanical/optical qualities in every regard (ranging from a little to a lot better), and has better depth of field control–the 100mm E holds its own with about ~85% of the performance of the Nikkor at 1/5th the price and about a 1/3rd the weight. Tack that onto the aforementioned higher shootability, and you do the math. 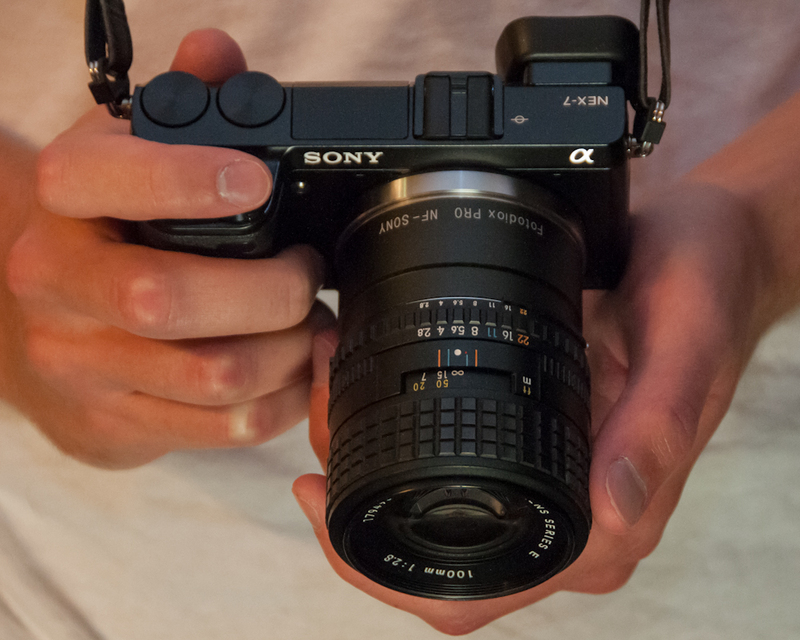 Taken by itself, the 100mm E is a stunning performer in nearly every respect. The only area the lens never excels in is in flare control, a problem that could possibly be mitigated by the use of a lens hood (though, that would take away much of the compactness of any kit). At about half the price of the comparable Nikkor version (105mm f/2.5 AI-s), and less than 1/5th the price of its suped-up bigger brother (105mm f/1.8 AI-s), the 100mm E is an affordable piece of kit which should belong in every photographers bag for another “go out there and shoot” lens just like the 50mm in the same series. 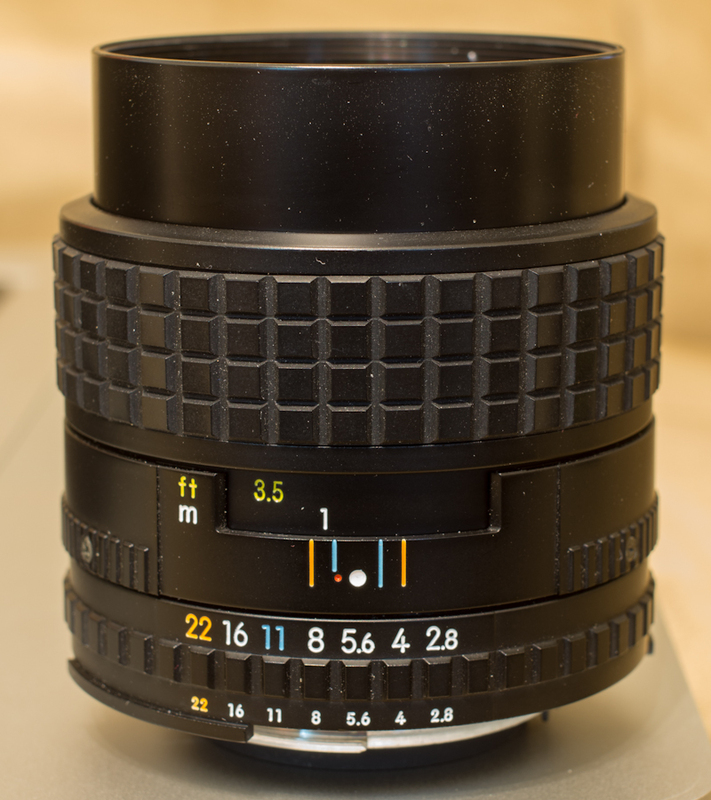 If you want to get into the 150mm field of view for portraiture (see HERE for a great example) for APS-C cameras, or the 200mm long telephoto field of view on m4/3 cameras, head to your favorite online auction house and go for it! Thank you so much for this excellent review. i am retuning to real photography after 20 years of mostly point and shoot photos of my kids growing up and have chosen the NEX 7 as the vehicle. The Canon EOS film camera was my last serious camera – I greatly enjoyed spending time outdoors shooting flowers, bugs, landscapes, sunsets, etc — activities that I really didn’t have time for while raising and educating my boys. I have been waffling between the Nikon 100mm E and the Tamron SP 90mm f/2.5 (52B) macro as my NEX’s multipurpose long lens. Any comparative thoughts?? Hey there Randy, glad you liked the review, and I’m happy for your return to “real” photography (if there is such a thing, I’m assuming you’re speaking of the artsy-fartsy kind, haha). The Nikon 100mm E is cheaper (~$80-100 in good to mint condition) than the Tamron (the three last-sold ones on eBay in “okay” condition went from $80-160, and the only one on there right now is listed at $350). The Nikon is also a bit shorter, a bit skinnier, and 1/2 the weight of the Tamron, an important thing to consider, as I laid out in the review. Since the Nikon is 10mm longer in FL, the depth of field separation difference between the f/2.5 of the Tamron and f/2.8 of the Nikon is negligible (if any). The Tamron is a macro (duh, hehe), meaning it is for sure corrected to work close-up, but may not keep all of its optical qualities as focus distance increases (obviously that is a rough assumption, since I don’t have that lens). From what you could see in the review, the Nikon is consistent at f/8 throughout the focus range. However, the Tamron being a macro means you can obviously get much closer (1:2 ratio) than the Nikon. 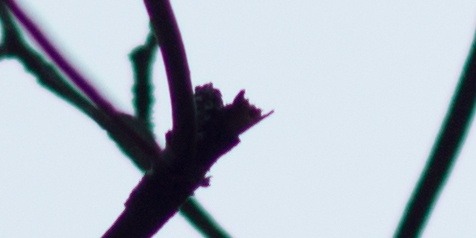 Of course, I’ve seen that with the cropability of the NEX-7’s sensor, faking a macro with a sharp lens is doable. Let’s assume you REALLY want to get into macro (as well as general photography). I believe you would be best suited getting the 100mm E, along with a separate 200mm macro lens. With the 100mm E, you’ll likely take your camera out more due to the absence of the weight and size of everything, and when you really want to do macro, you’ll have a dedicated set-up with a more versatile 300mm equivalent field of view allowing you to photograph insects and other flitting things from a greater distance (won’t scare them off). I for one will at least start out with something like the 105mm Micro-Nikkor (aperture not decided), rather than get a shorter FL. 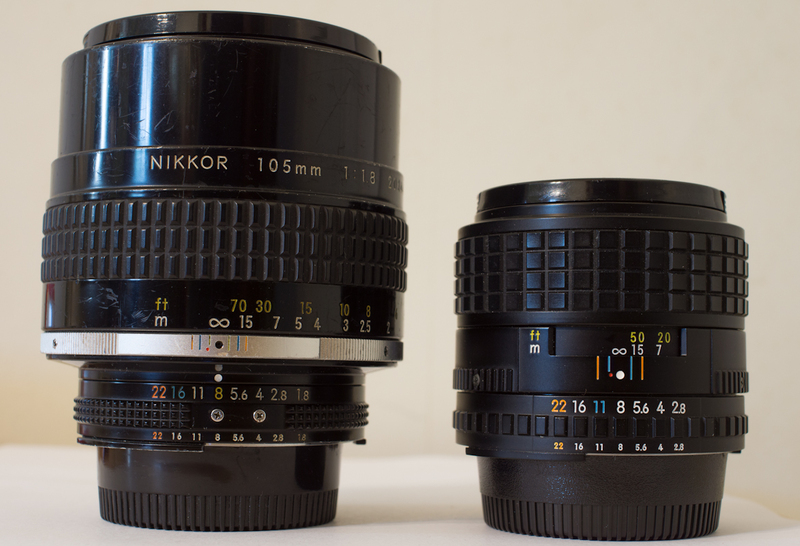 There is of course the good old 105mm Micro Nikkor in a f4 and a f2.8 version. Both are excellent macro lenses and good all a rounders too. They do tend to be slightly on the expensive side, unfortunately. I imagine they would, but man, the f/4 version is already at $225 on eBay, and the f/2.8 is in the $500 range. You can find them for a bit less than that, you need to search and be very patient. Btw, do you use either the f/2.8 or f/4 micro lenses yourself? 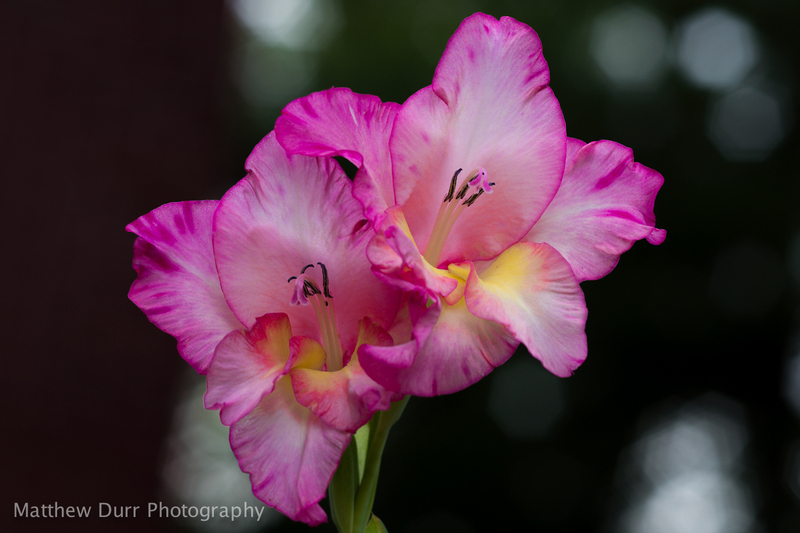 The f2.8 version is a bit tricky when working with extension tubes and or bellows. That said, I’ve not done much classical macro-work during the last decade or so. No not so easy. The 2.8 version uses a different focusing and correction strategy. This means that IQ can go wrong very quickly when you go beyond the built in capabilities of the lens. The f4 is much more forgiving. Did you get the lens? Unfortunately no, went out of my price range at about $325 after shipping. Good job – I really enjoy reading your reviews. I hope you were not effected to badly by the storms. Thanks Eths, always good to see you dropping by here as well. And whew, don’t get me started on those storms. 🙂 Most everything is fine, though. Thanks to you, I’m now a proud owner of a 100mm E series Nikon in near-perfect condition. It’s aperture was stuck, so I got it for £25 (about $40) from eBay. After a little tinkering it’s in perfect working order. A nice match for my E-M5 and quite usable with our older D200 too. Great to hear Visa! I hope that sensor-shift stabilization works wonders with your lens, giving you a nice 200mm f/5.6 (DoF-wise) equiv. Regretting badly, as a small light inconspicous lens with the same (or better) IQ, costing “nothing” would definately be nice to have for candid streetphoto! I will get one again ASAP! Very much enjoyed your comprehensive review, Matt! I kept the lens’s 2nd version (originally acquired used way back in 1986) when recently I transitioned from an old Nikon FE2 film camera to the Olympus OM-D EM-5. Its a joy to work with as a snub-nosed full frame equivalent 200mm. The EM-5’s in-body stabilization makes it easy to use to about 1/15th of a second. Great lens when you need a bit more image scale than the Olympus 45mm 1.8 provides. Absolutely, John! The 100mm f/2.8 pairs great on a m4/3 body with its small size and long reach. Glad you liked the review! Apologies for not posting anything lately, higher obligations have been taking up all of my time. thanks alot for your excellent review of the 100mm 2.8 Series E Nikon! I recieved this lens today from a dealer of classic Nikonlenses and -cameras and ebay made my day providing an unused and boxed original lens hood for 7€. On my D7000 this lens is looking really good and it feels much better than any of the new AF-S plastik Nikkors from China. There is no other 100mm lens out there as lightweighted and small as this little gem. Glad you liked the review, Stephan, and great to hear you are loving your copy! 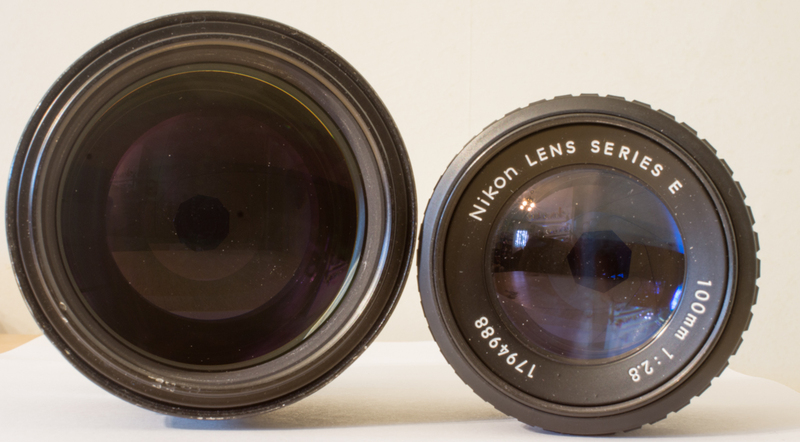 The only equivalent is canon’s own fd 100mm f/2.8, but, like you say, I think the Nikon is still smaller and lighter! Hey Steve! Hope your lens turns out great like mine was! I never thought was going to be so detailed and well explained when I saw the Sony camera… my mistake. Great review! To this day that little NEX-7 is still helping me create some great photographs, though I admit it sure doesn’t look all that opposing. 🙂 Thanks! Great blog Matthew, i got a this lens for 60€ after reading about it here and im very pleased to say you nailed every aspect! I began using E series because my father had the 50mm one with his old Nikon FM and just have fallen in love with the focus ring smoothness. I find them far more usable than modern lenses for amateur photography such as mine! Great to hear Emanuel, and thanks for your words. Nikon really nailed the price/performance aspect of these lenses so well, it’s so great they do great work even to this day (still holding onto my tiny 50mm f/1.8 E!). Great review, Matthew. I am new to the a6000, and I am lens searching. I have the Zeiss 24mm 1.8 and the 55-210. But I really wanted the 16-70 to be the killer, though at the price it really isn’t. So I am messing with my Nikon lenses on a metabones, and coincidentally today I tried my 100mm for the first time on this camera. You nailed the review, but I actually prefer using the lens at f4 and f5.6 most of the time. As you say, it is plenty sharp at any aperture in the center. Wow, it is really nice on the a6000, and I find focus peaking gets me in focus as quickly as I can manage with my Df. I have a number of other Ai and Ais lenses that I need to try, and I will start by checking out your other reviews. Thanks for this one. Great to hear, Roy! I actually regret selling that lens out after I got done with the review, as now when I reach for the 100mm focal length, I’m stuck with the big-ole’ heavy 105mm f/1.8 AI-s! Haha. There is a lot to what you say about weight. I have a like-new 200mm f4 that I really love, but it just isn’t comfortable on this little camera, shooting handheld. I suppose it would be okay on a tripod, but the lens doesn’t have a tripod collar, so that’s out. Your 180mm is the ticket for that, I think. I have thought about getting one, or even an old 300mm f4.5. Check out my 180mm f/2.8 AI-s review to learn more. Also, a 300mm f/4.5 will also be noticeably heavier. i wanted to know how my 100mm f 2.8 E serie will work with macro extension tubes on my nikon d5300…and how many mm of extension tubes i really needs for real macro 1:1 ratio? Hey there Thomas, sorry for not getting back with you, I was gone for a few months. The 100mm f/2.8 shows excellent sharpness characteristics that I’m sure could translate well to extension tubes. As to attaining true 1:1 macro, I do not know the actual amount. That said, give multiple combinations a shot and see what works for you! Once you get within a few inches, you are working within 1:1 magnification. Hello there Ralf, sorry for the late response. I do not have much experience with that lens, though I do know the older wide AI-s lenses do suffer from relatively flat images without much micro contrast and also exhibit noticeable veiling haze until stopped down. I believe the only exception is the 28mm f/2.8, which still fetches for a large amount of money on eBay, but I have not tested that lens. I have also only tested the big brother to the 105 2.5, the 1.8. It’s a fantastic lens, and from every story I’ve read about the 2.5, it doesn’t disappoint either. The novoflex adapter is also a good one. I haven’t heard many reports of decentering on that one, compared to much cheaper models. Which adapter did you use to adapt lens on sony a6300? Apologies for late response. I used a Fotodiox F to E mount adapter. The current version I use for Nikon lenses is the DLX adapter.